I feel very privileged to once again be participating in the “Sound of Picture Books”. This continual collaboration with The Literature Centre, WASO and Yamaha is very exciting for me as it allows me to compose music and create an additional sensorial element to my Children’s Books. 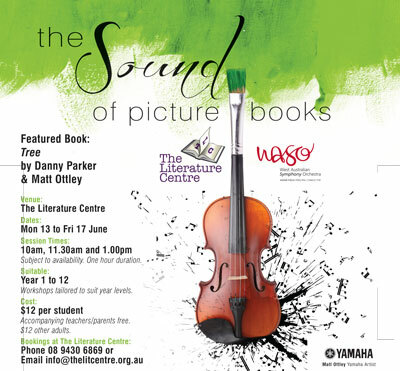 This year the book Tree, sensitively written by Danny Parker and illustrated by me will be performed by WASO in Perth in June, 2016. If you or your children are interested in seeing this performance limited tickets are still available through The Literature Centre, or you can purchase the DVD from my website.